Marant Industries is a commercial / domestic joinery supplier who specialize in high end domestic joinery, medical and hospitality, multi residential apartment towers, aged care, schools, sport stadiums and basically anything. 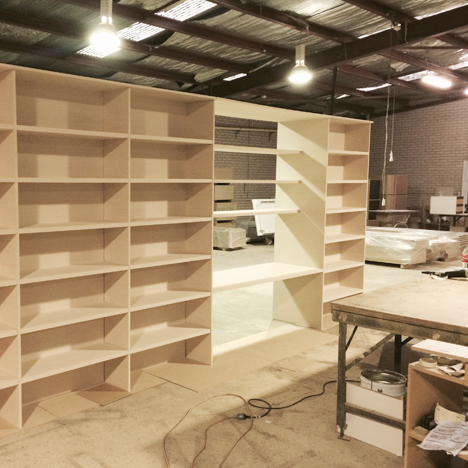 We are experts with all materials associated with joinery ranging from stainless steel, solid timber, timber veneer, 2 pack paint, glass and solid surface. With years of professionalism under our belts, we are certain we will be able to fulfil your needs. Marant Industries has been around for 25 years. The company was first founded by master craftsman Mario Venier, a man who used his leadership for nearly a decade. Today we see the company led by four directors. Andrew Goode, Stuart Tonner, Ben Whitty and Damon Rogers. These four men have successfully continued and excelled in satisfying all of Melbourne's joinery needs. The team has built the business for the past 16 years on a simple philosophy, speed and efficiency. This was to ensure that they met client dead lines along with bringing their best to the table when achieving the client's tasks. The business has 12 reliable and experience staff working at present who are ready to fulfil any of your needs.